If there were a 8th wonder of the world, Pamukkale might be it. Formed by nature over the millennia from limestone deposited by abundant underground hot springs, the “Cotton Castle” sits on the remarkably well-preserved ruins of the Greco-Roman city of Hierapolis. 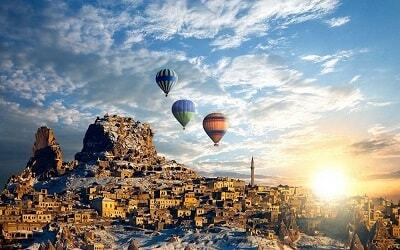 Side Pamukkale Tour takes you to a wonderland. 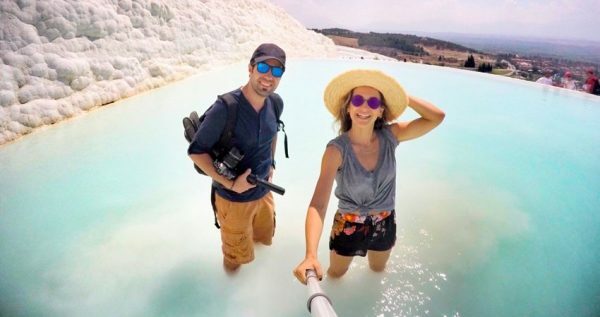 Side Pamukkale Tour is a well-rounded experience of Ancient Greek history and one that shouldn’t be missed by true explorers. 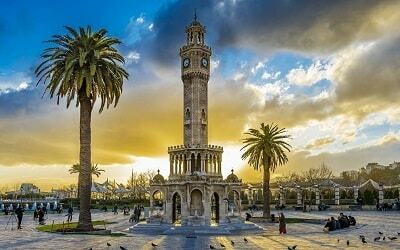 Beginning early in the morning a shuttle with gather you up from your hotel and take you to a station where you’ll embark on a bus journey across the beautiful Turkish landscapes. 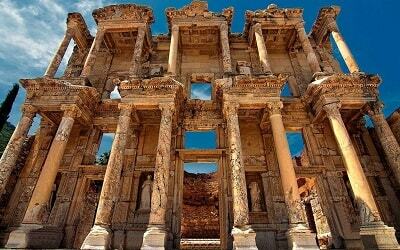 You’ll be accompanied by a professional tour guide who will entertain and educate you at Pamukkale and interesting sights and stops along the way, including a lunch stop in a local village. 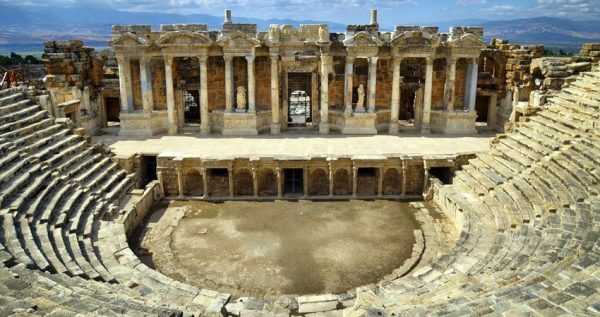 Upon arrival at the UNESCO World Heritage Site of Pamukkale, you’ll have three full hours to enjoy two fabulous features of visiting this historic location. 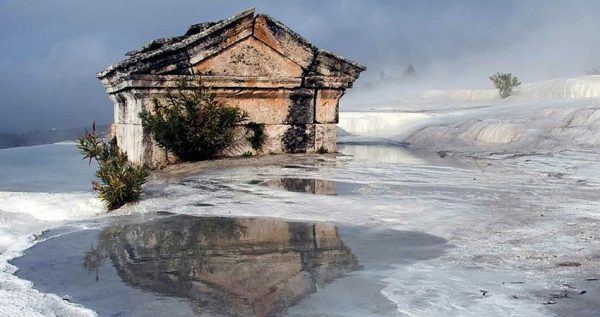 Ancient Hierapolis and it’s famous curative hot pools. Explore back in time with a complete examination of the excavations and restorations of Hierapolis and its archaeological museum. 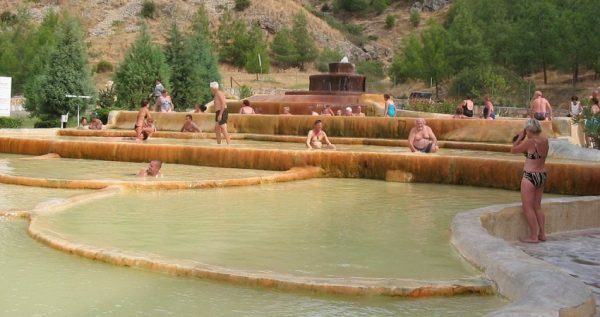 The city was founded in the 2nd century BC as a destination for healing and relaxation in the hillside geothermal pools. 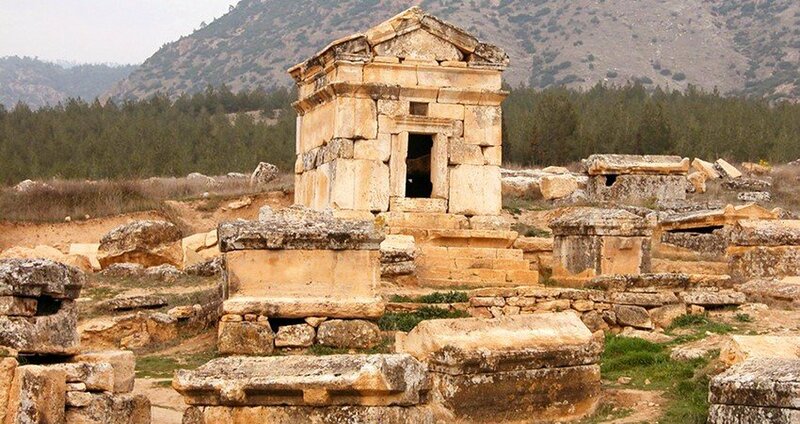 Your knowledgeable guide will bring you back in time with facts and stories that will spring your imagination of the early history of life in and around the Menderes River Valley. 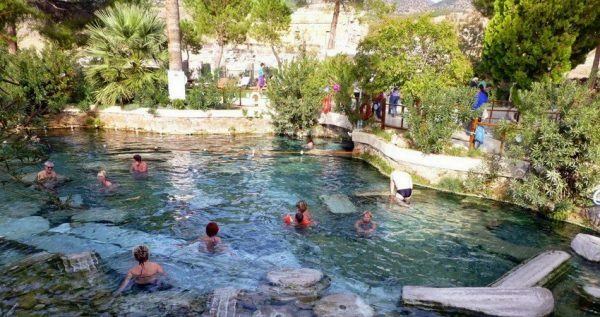 Be sure to bring along your bathing clothes because you’ll certainly want to settle into the warm rejuvenating waters of the very special Antique Pool. It is said Marc Antony designed and built this rock pool for his wife Cleopatra. These were the glory days of Hierapolis, surrounded by Doric columns supporting colorful ornate rooftops. 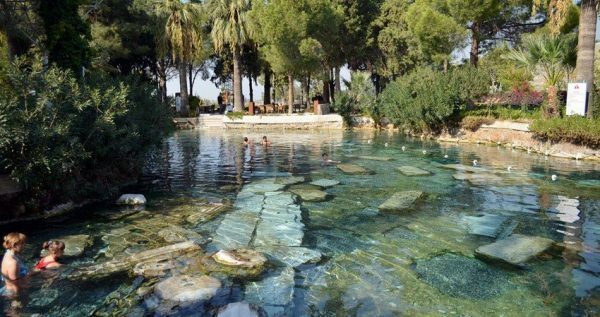 Sparkling steamy travertine hot pools can be observed by walking barefoot across the tiled grounds. 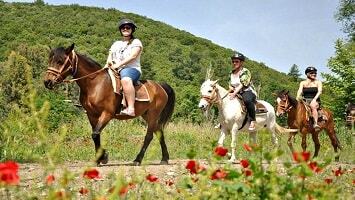 The views, the smells, the warm air will all fill your senses in an unforgettable way. 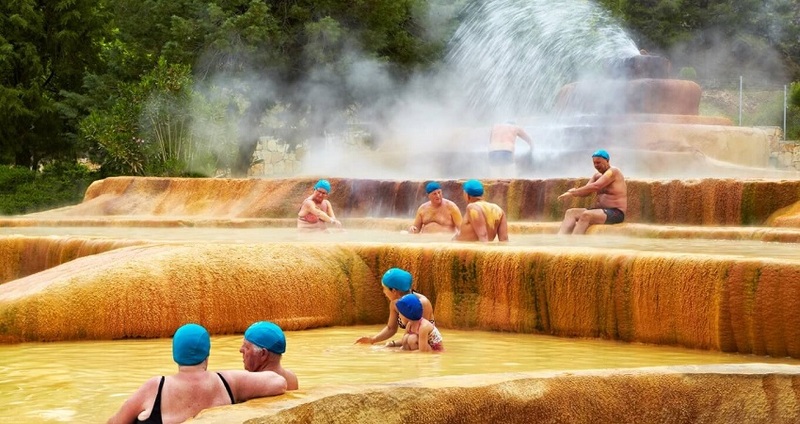 From here, you’ll be transported to a nearby village, Karahayıt, known for its hot red thermal springs. 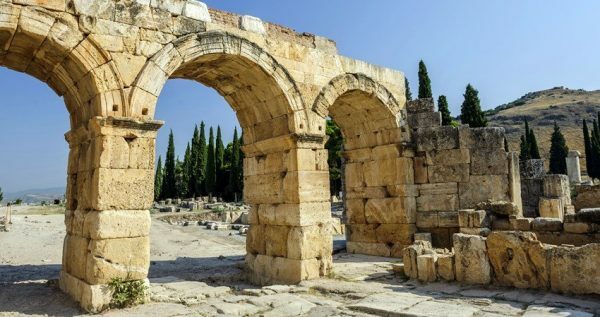 Once you’re fully relaxed and filled with new experiences we’ll visit a large local wine cellar for tasting of exquisite flavorful wines produced throughout the region before sitting down at a wonderful Turkish restaurant to enjoy a relaxing time with conversation and a delicious buffet dinner. Your meal includes choices of entree’s, rices, soups, breads, desserts, and of course a very large Mediterranean salad bar. 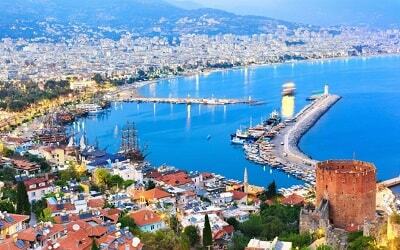 Your bus will depart after dinner for your return trip which will have you back at your hotel by around 21:00 to 22:00.